Today I want to talk about anxiety. 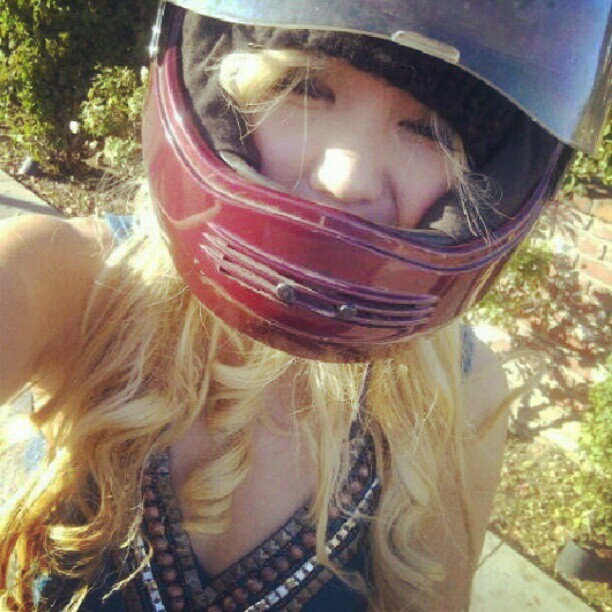 I thought I post this picture of myself stuck in a helmet. This picture was taken for fun when my friend gave me a bike ride! But this is how it feels like the whole body get stuck and can't breathe when I get an anxiety. When it gets worse it feels like I'm dying like a fish out of the water choking out of breath. It's pretty serious. I have been to emergency room couple of time for this. One day I was having heavy anxiety and called my friend for a help. "Breathe and think one at a time." It was a big revelation to me. I never realized I was holding my breath and barely taking short breath until then! It is so simple yet it's the most important thing to do. We tend to hold our breath unconsciously when we are tense and anxious. Try to calm our mind by closing your eyes, relax and just breathe. Be in the NOW and be at the moment of a breath! There are different methods of breathing exercise. I like breathing in through my nose and breathing out through my mouth method. 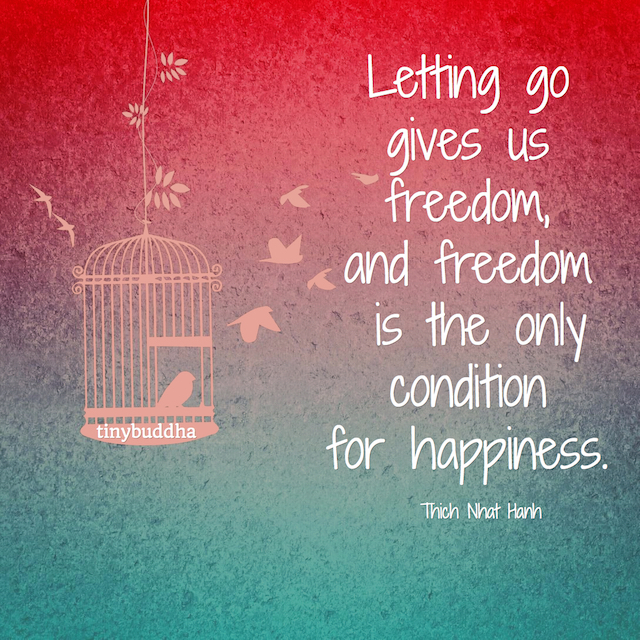 ANYTHING you want to let go of. 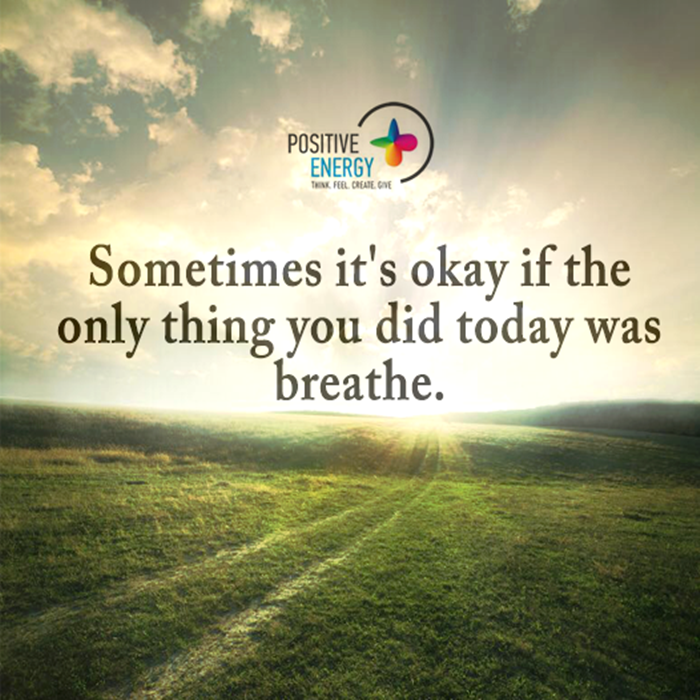 Just couple of deep breath like this will help you immediately feel so much better! So my first tip and the best tip is focusing on your breath and to breathe deeply. I sleep a lot and I take naps occasionally whenever I feel like I need to rest. Sleeping for a long time or taking a nap is considered being lazy in this busy society. it will drive you to have so much anxiety. Instead go by your own rule for yourself. how long you need to sleep and how much rest to get. try some teas like Chamomile tea and try Lavender Essential oil. These are two most popular naturally relaxing herbs. 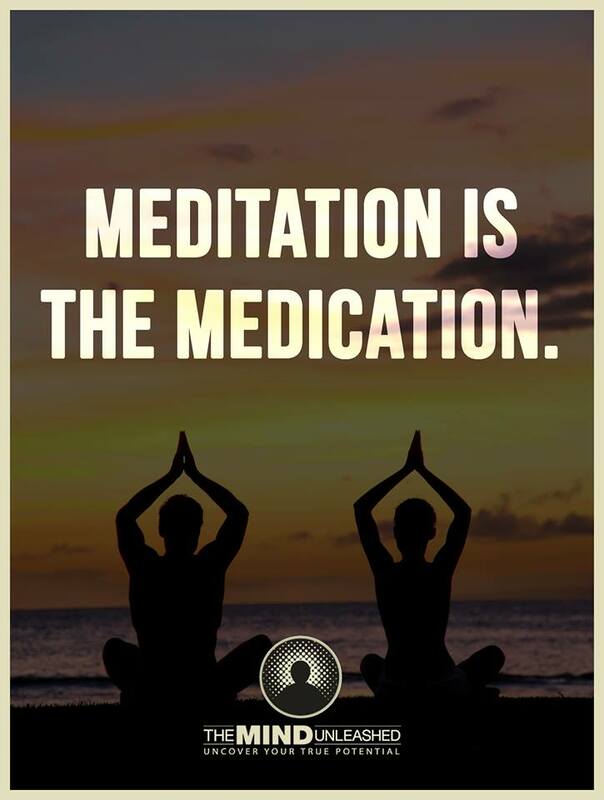 When you go to sleep you can practicing breathing and meditate too. 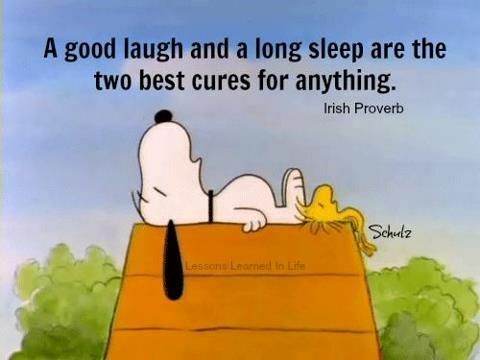 When you sleep it's the best and easiest time to quiet your mind and relax your body. Try to stay away from sugar, gluten, caffeine, alcohol, any artificial ingredient or unnecessary medicines and chemicals. These things cause inflammations and make your brain hyper and trigger anxiety. It is so easy to depend on sugary food, starchy carbs and substances, since it's so addictive and TEMPORARY comforting from anxiety. We need to keep our body healthy to have a healthy mind. Your Mind and body are one. Look for clean, fresh and healthy food to nourish your body. Try adding lots of fruits, veggies, nuts and seeds to your diet. They are full of nutrients that are good for you naturally! Drink a lot of water and always stay hydrated and get enough oxygen in your body! It's so important to move around and get air flowing into our lung and blood circulating in our body. I'm not much of an active person but I love going to the beach or hiking in the mountain. Even simple stretching and walking your dog is so much better than nothing. Pets are also excellent companion and therapist for anxiety! 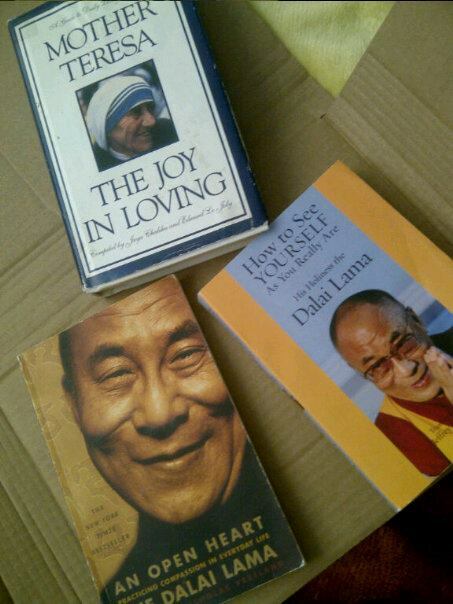 Reading peaceful books like these are so comforting and relaxing. I can read at my own pace at my own time and learn new things and get inspired. News and Social medias are so fast paced and full of fear, negativity and bad news. I stopped watching the news, years ago. It was one of the best decision ever made. Rick Steve's Europe or clean and peaceful public programming. Mass medias are subliminally or so obviously putting so much fear and bad influences in people's mind through movies, video games and everything. It's not hard to know and understand why so many people have so much anxiety and there are so much bad things happening around the world. If we spend just some little more time reading books and educate ourselves instead of just going with everybody else with the mass media, we will be so much better and peaceful at mind. There are positive websites I like Tiny Buddha and Heal Your Life. They have so many gentle, comforting and inspiring articles to help you. Also turn on some calming music, light some candles or incense. I love heavy metal and rock music but I listen to Carpenters or Chopin when I need to calm my self and relax. Believe you can be free from anxiety! Focus on the bright side. It WILL get better. Surround yourself with kind, gentle, loving, non judgmental, supportive and positive friends and people you trust. For yourself, for your heart and for your soul. Even in the hard times, imagine yourself as an over comer and stronger! 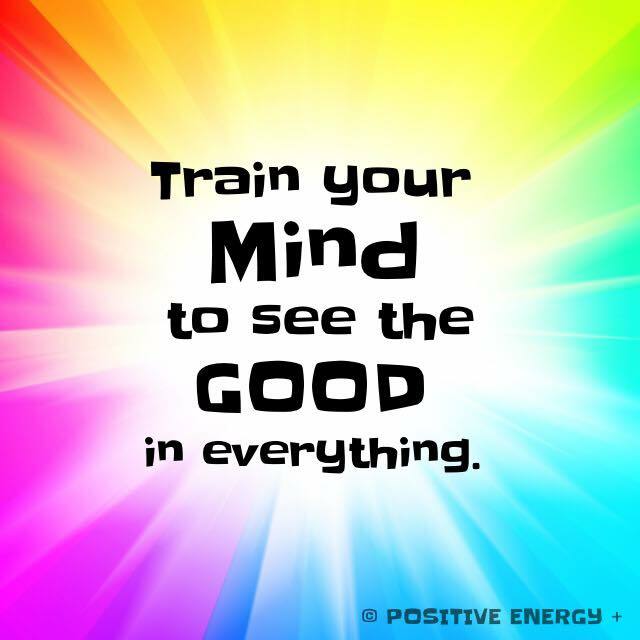 Don't ever let the negative circumstances beat your great positive mind! It's our choice to choose how to feel and we can always choose to feel hopeful and positive! Animals, Beach, Mountain, Lake, Sunshine, Trees, Flowers...They are all so peaceful! Nature always goes with their natural flow never rushed or hurried. Remember that us humans are part of nature. Please don't cling and get attached to the things in the world that weighs you down. Free yourself from the society's competition and attention. Remember we are spiritual animals not society's animals. Nature give us so much Love for Free! 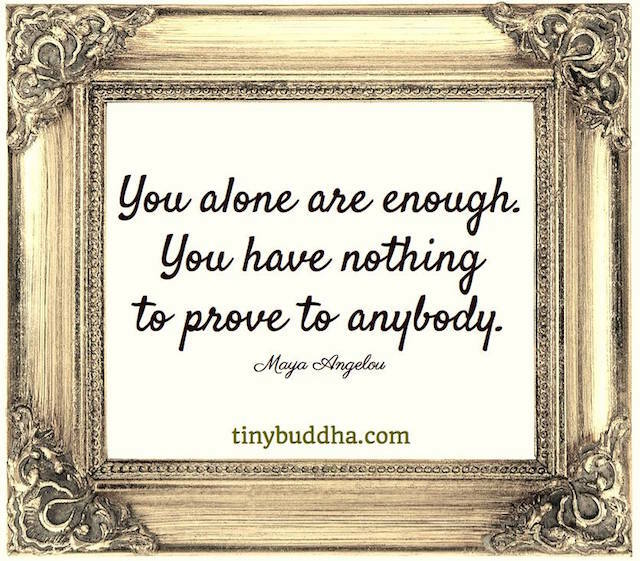 You are enough for being who you are, naturally! And You are always LOVED! I'll be posting my experience with mental health issues and what I've learned, time to time. Thank you for reading this and let me have an honor to share my experience and help you. PS- Here's a sweet song I picked for you. Enjoy.